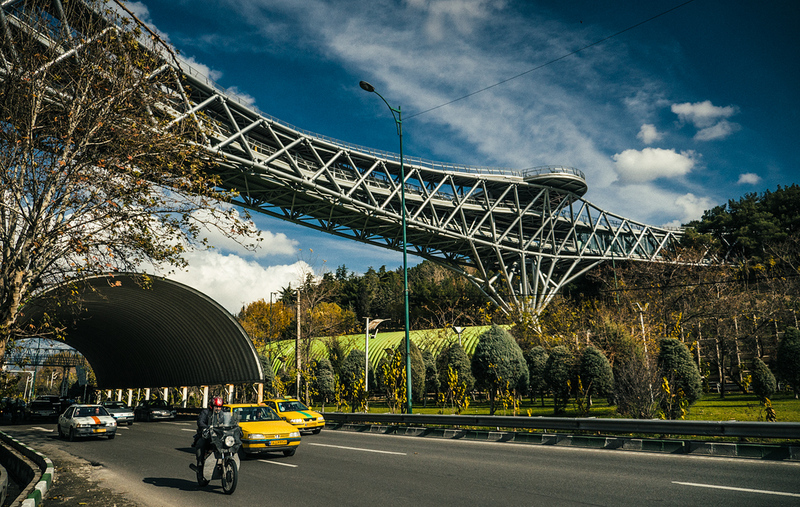 My recent visit to Tehran left me speechless. I went along with my colleague to explore business opportunities in the wake of sanctions removal but ended up falling in love with the city. Visa process in Karachi required few personal appearances; most of the people I came across at Iranian Embassy were going on pilgrimage. It is perquisite to go through a medical check at designated lab, in a way it was good way to make sure visitors are not exporting diseases. Embassy’s Commercial & Economic Consular was cooperative enough to get us business visa in less than three working days. 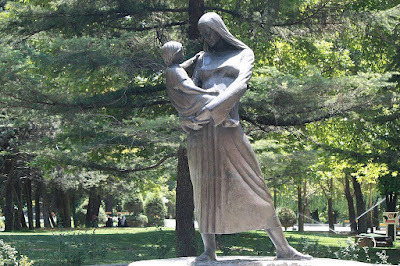 We took connecting flight via Dubai, as plane was approaching Tehran, we saw women putting on scarf and trench coats. It is mandatory for local as well as foreign female visitors to follow dress code. Tehran international airport looked descent, before heading to hotel we got currency exchanged. 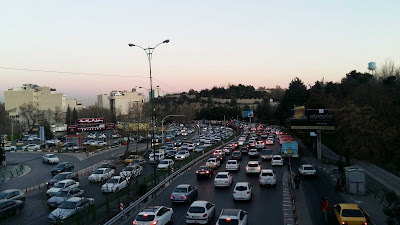 Tehran is disconnected from international banking network, as foreigners we could not use ATM or credit cards. We ended up carrying only cash; US Dollar and Euros are acceptable, 1 USD is equivalent of approx. 34,000 Iranian Rial. However people also use unofficial unit of currency called Toman, generally prices of goods are in Toman ‘one Toman equals 10 Rials’. We checked into luxury hotel located on crossroad of Chamran and Valisar road in North of Tehran “Persian Esteghlal International Hotel”. Before 1979 revolution, it was part of Hilton hotel chains, later took over by government and changed to Esteghlal ‘meaning independence’. 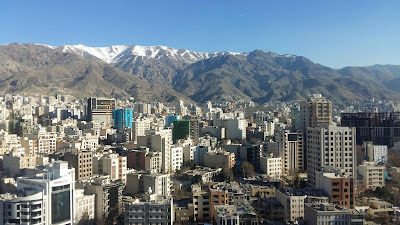 Hotel location is scenic; one can see ice caped Alborz Mountains from the window. Rooms looked clean; however elevators were pretty old and slow. Internet communication was also slow and most of the social networking sites were not accessible. Road infrastructure is well developed; one may find overhead roads and tunnels. On our way, taxi driver drove through famous Tohid Tunnel; it is about 3 kilometers long, third longest urban tunnel in Middle East, was built in about 30 months. Roads are surrounded with cherry trees and we saw green landscaping all around. 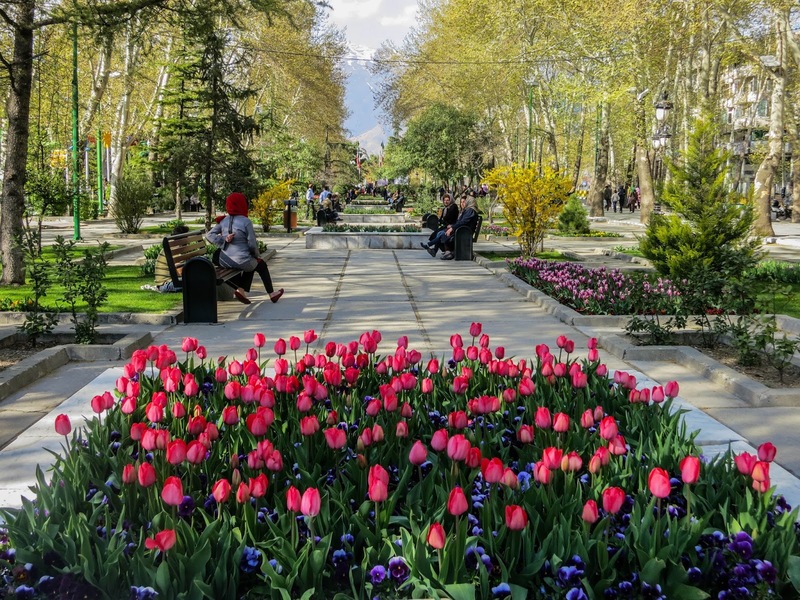 Over 250 thousand gardeners are working for Tehran local government. People in Tehran love outdoors, there are various parks and public spaces all around the city. Town planning looked impressive, there are drain channels all across the city, garbage is collected twice a day and huge garbage bins are placed everywhere in the city. Generally people seemed to be hygiene conscious. 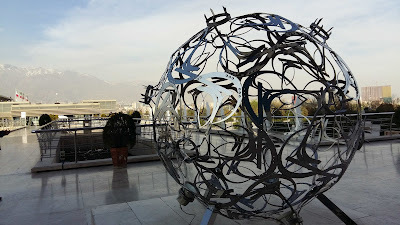 In the hotel lobby we saw European with ski equipment; later we got to know that Tochal is the most famous resort mainly known for ski, located on Alborz Mountain. There is a 12 km long ridgeline and the highest peak is approx. 13,000 feet. A gondola lift runs from Tehran to Tochal Ski Resort and to Tochal hotel and resort. 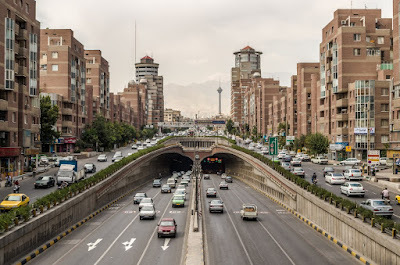 Tehran has got metro as well as underground network of trains, however still struggles with traffic jams. City is surrounded with mountains, hardly any outlet for fresh air to pass through; smoke generated by cars seems to be one of the major health issues. 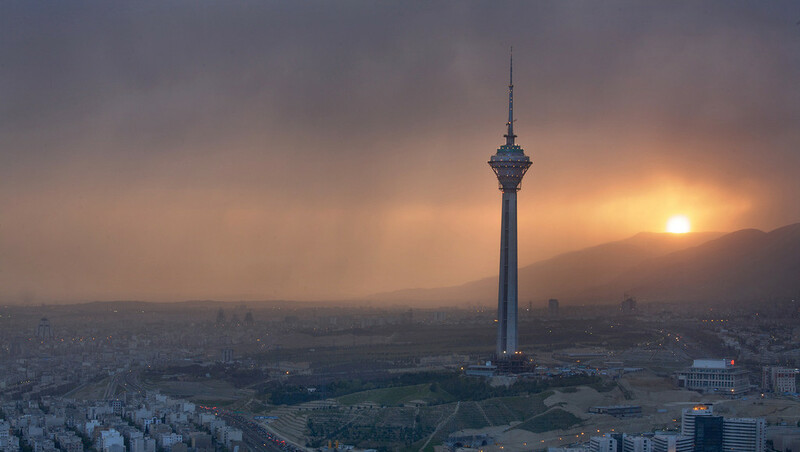 City has various landmark buildings such as Milad Tower, 7th tallest tv tower in the world , with mall and a revolving restaurant . 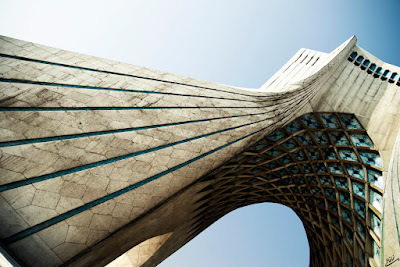 Other major landmark site is Azadi Tower or square, it played key role during revolution. Street names are very interesting, came across names such as Africa, Argentine, Gandhi, Mohammad Ali Jinnah and Iqbal Lahori Street. During our informal discussion we got to know Allama Iqbal known as Iqbal E Lahori, one of the most read poets in Iran. Children read about Iqbal and recite his poetry. He is so famous even in the midst of revolution crowd used to recite Iqbal ‘poetic work such as Az Zabur I Ajam’ during processions. Even Iran’s Supreme Leader Ayatollah Khamenei at times recites Iqbal during his speeches. Someone also shared that in Mashad there is Iqbal E Lahori Institute of Higher Studies offering degrees in social sciences and engineering. In Iran Iqbal is well placed along with Rumi or Hafez . 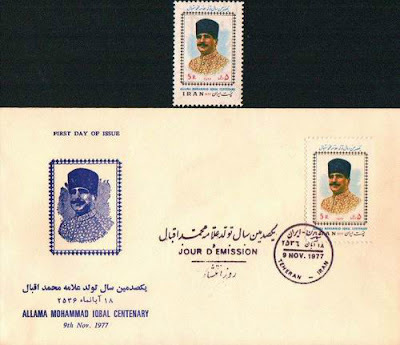 To honor Iqbal, on the eve 100th anniversary, on 9th Nov 1977 a special postage was also issued in Iran. 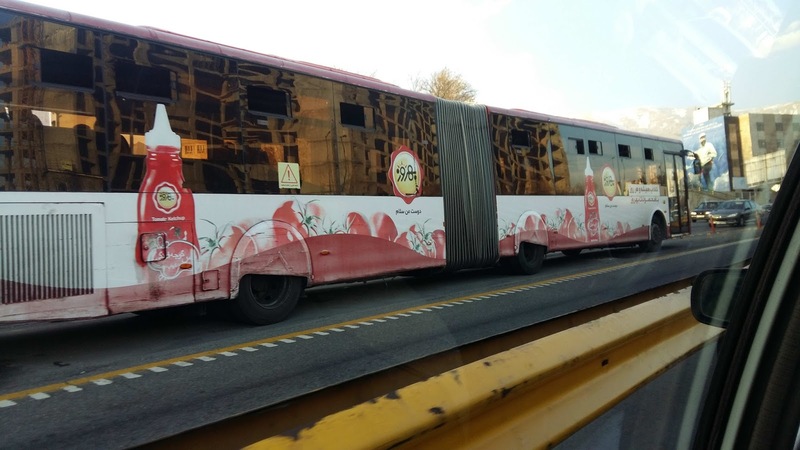 On the roads we came across cars only from Korea and France, brands such as Peugeot, Kia, Hyundai, Iran Khodro and Saipa, all locally made. Iran is the 18th largest car manufacturing country in the world, with export contribution of approx. USD 1 bill per year. Sanctions encouraged Iran to localize the production. Iran has history of over 5,000 years; besides Muslim identity they are proud of their historic culture. They celebrate Nauroz ‘to welcome spring’ with zeal, it has historic Persian or Zoroastrian origin, celebrations stretch around two weeks, begining from 21st March. 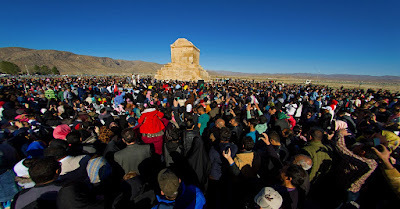 On first day people also visit Pasargadae ‘Cyrus the Great’s tomb’ located near the city of Shiraz. We came across many Iranian Indian graduates, we were informed annually over 8,000 students go to Indian universities for higher education. Also informed that Indian relationship with Iran is well rooted, investment on infrastructure projects such as Chabahar Port ‘located in southeast of Iran’ and road networks development is major hallmark along with barter trade. Flowers and gardens have special place in Tehran, we saw many flower shops all across the city. On occasions people exchange flowers, we saw people receiving friends and relatives with flowers at airport. 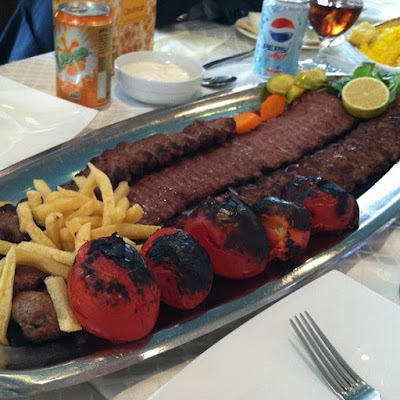 Iranian food is not spicy but delicious, mainly Chullu Kababs, one of the best we ended up eating at Tehran Bazar ‘ a flea market’ . 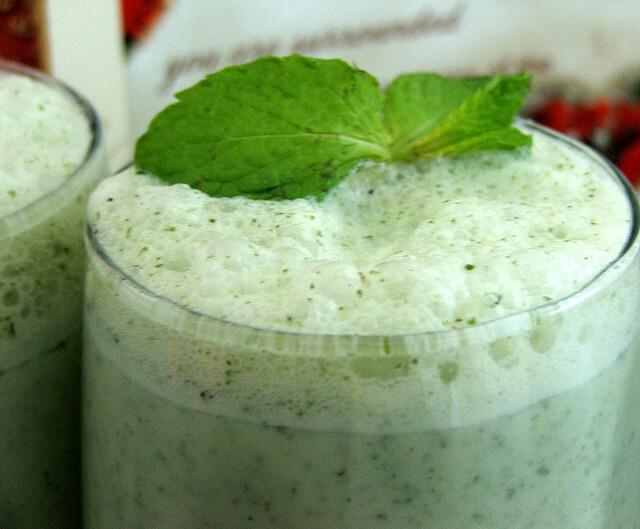 Dough ‘Lassi’ with different flavors is very popular, overall dairy product segment is well developed. At Tehran Bazar traditional goods are sold however walking streets are so clean and surrounded by beautiful buildings with ceramic and art work. Iranians generally wear pant shirt along with coat however we came across Kurd minority labors in Shalwar and small shirt. 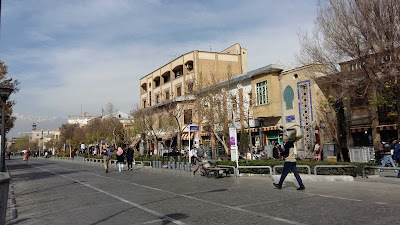 Armenian minorities along with Jews are also part of around 10 million population of Tehran and they enjoy religious freedom, churches and synagogues are easily found in Tehran. 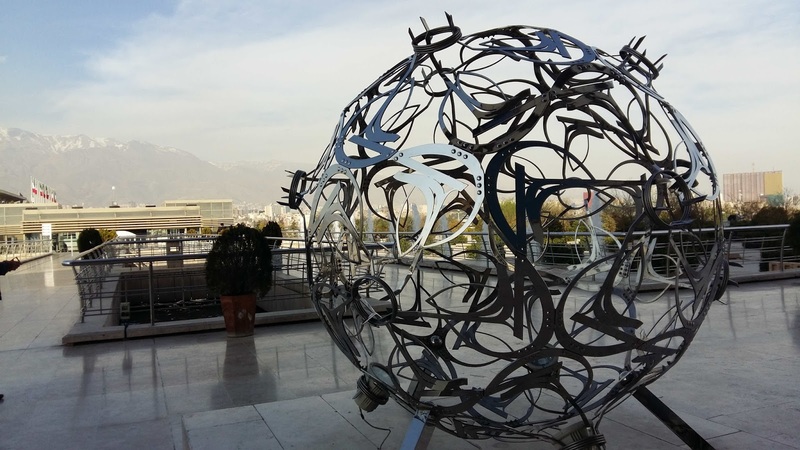 Street arts in public spaces make city an open art public gallery, sculpture, ceramic work and paintings found all around Tehran. One of the most inspiring structure is Tabiat Bridge ‘pedestrian bridge' developed by 26 year old female architect, it connects two parks. During our discussion we were informed about interesting facts about revolution, bulk of development witnessed during post revolution and even women were empowered i.e., passing of law related to full insurance compensation to a female driver and other rights. We interacted with major petrochemical organization in Tehran and majority of the executives we met were women. 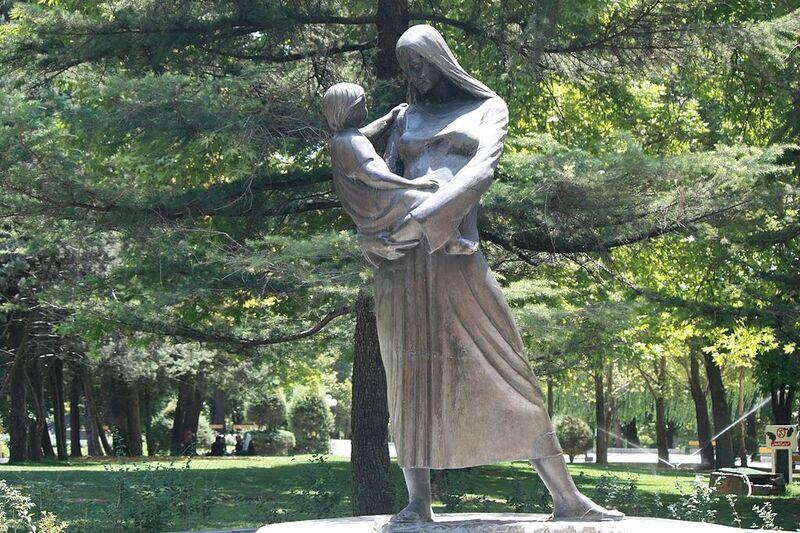 From executives to shopkeepers or even taxi drivers, women found in every walks of the life. During our discussions we were surprised to hear about the popularity of former Pakistan Prime Minister Benazir Bhutto, her mother was Iranian Kurdish origin from Esfahan. On our way we came across few beggars from Pakistani part of Balochistan. 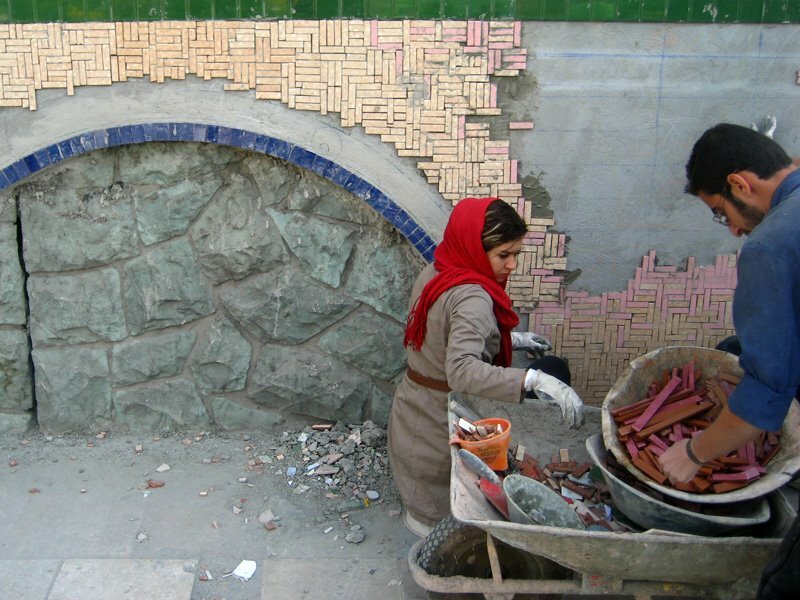 Iran has substantial Afghan refugee population as well. General Iranian population is not well versed with English however older generation speaks French. Persian language is well developed and literature from world over is translated in Persian. European and Chinese businessmen are flocking to Tehran; days are not far when Tehran will regain its due place among the finest cities of the world. Also days are not far when Pakistan will reconnect with neighboring Iran on business, culture and historic grounds. Cricket fever is in full swing in Pakistan; everyone is glued to TV and overly engrossed with cricket. Pakistan lost first two group matches, leading to tough chance for them to qualify for the quarter finals. We as nation love emotional response rather than having rational debate and learn from mistakes, fix them and move on. Besides team’s performance, an incident is the focus of media i.e., Moin Khan’s visit to casino. As per initial reports Moin Khan went there to have a meal two days before the match against West Indies and a Pakistani couple photographed him and made a video. 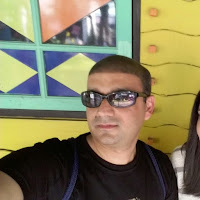 I wonder what was Pakistani Couple doing in the casino! Furthermore, Moin is being criticized that as selector he is not supposed to travel to Australia. However I believe, on this issue board should be asked and this issue should have been debated earlier. PCB must have authorized someone to take such decisions. In soccer I can share many instances of national soccer coaches/selectors visiting all around Europe and seen them watching matches of their target players. During debate, some of them went on saying that Prime Minister should intervene in Moin’s incident. I would like to ask, Is Moin's travel a core issue that nation must be concerned? Let me write again, ordinary team playing ordinary cricket. If media/people build unreal expectations then only expected reaction would be anger & frustration. Frankly such discussion won’t get us anywhere. We need constructive and rational outlook towards things in life or sports, learn from mistakes and move on. THE more one talks to Pakistan’s educated elite, the more one realises just how uneducated it is about many things, especially Pakistan’s economy. This is partly not their fault, for many economists are equally uneducated about many factors which affect Pakistan’s economy, an area in which they ought to have some competence and understanding. Moreover, with the wild, unadulterated web, everyone is free to voice their unwanted, unsolicited opinions. While such wide public spaces have helped democratise the public sphere, both print and especially electronic, so that anyone can say anything they want, unsubstantiated opinions have also undermined reflection, scholarship and knowledge about numerous concepts and issues, creating misunderstandings about Pakistan’s economy. Economists are singularly to blame and not just for perpetrating uninformed myths about Pakistan’s economy. Those who are competent and qualified — and there are some — are too busy consulting for donors to volunteer to engage in the public sphere. Some even feel that there is little point in doing so since their views and opinions ‘don’t really matter’, and no one reads them. Perhaps not, but there is still a responsibility on the part of those who are more knowledgeable — in any discipline — to convey and bring their knowledge to the public sphere, and whether they are read or not, is less relevant. Importantly, more scholarly and learned interventions would replace much of the gibberish which substitutes for analysis on opinion pages. With Western journalists quoting Pakistani Op-Ed contributors whenever convenient, perhaps a more substantive analysis in the first place, would help them understand far better than the conversations they reproduce from the drawing rooms and the watering holes of the elite on which they thrive. This absence of scholarly engagement results in numerous myths about Pakistan’s economy which become part of the general conversation, and then of conventional wisdom. One can list any number of such misperceptions, but perhaps a handful will emphasise the point. Tragic Bhoja Air crash perished 127 precious lives; it has hardly been one year to horrific Air Blue crash in Islamabad. Lately there was tsunami, killing thousands in Japan and everyone talked about the patience and civilized behavior of Japanese people. If I look at Bhoja Air crash or any other tragedy in Pakistan, our response is poor and chaotic. Japan’s mainland security force played pivotal role in disaster management, we did not see single relief goods truck carrying such slogans “Relief Goods; A Gift for Japanese People from Mainland Security Force”. I recall during my stay in US, I took flight from Newark to North Carolina. Another plane took off at the same time and crashed. The other plane in New york landed in Hudson Bay. Aviation disasters happen all around the world. Globally over 23 plane crashed last year and every year accidents occur. All over the world people do not come up with blame game and conspiracy theories rather investigate and wait for findings. Every time after investigation findings aviation industry learns and makes corrective measures instead of making hue and cry in a chaotic way. Nations behave, crowd makes hullabaloo. It is high time for Pakistani media and public to learn from others and show some patience. Be it democracy , any disaster or an accident. It was 1998; Greenpeace activists from all over the Netherlands & Germany closed down PVC scrap exporting company in Lelstad, in the Netherlands. Greenpeace activists blocked the entrance of the company and urged Dutch government to ‘stop export of PVC waste’. Greenpeace believed that Dutch Government was party to poisoning of workers and the environment and this behavior was shameful and tends to undermine the Dutch government's commitment in international negotiations to stop the export of hazardous waste to developing countries. It is sad to see developed countries keeping their house clean, whereas treating third world countries including Pakistan as their waste yard. I am glad to see Pakistani media playing an effective role of a whistle blower against the import of hazardous plastic waste in the country, it is high time for government to take strong action before it is too late. Credit mainly goes to Daily Dawn for writing following editorial on Hazardous waste on 31st March 2012. “ONE of the negative fallouts of globalisation has been the fact that developed countries have solved the problem of hazardous waste by shipping it to less-developed nations. Pakistan has not escaped this phenomenon. As published by this paper, the customs authorities have allowed the import of hazardous medical waste under the cover of ‘plastic scrap’. This appears to be a violation not only of local regulations, but also of the Basel Convention, the international treaty — which Pakistan has signed — designed to prevent the transfer of hazardous material across borders. Before the treaty was drawn up in the late 1980s, it was relatively common for industrialised nations to rid themselves of their dangerous waste by dumping it in developing nations; the former had tended to have passed tougher environmental laws whereas the regulatory framework in the developing world was (and in many cases, remains) quite lax. The waste in question, originally from the UK, was stored in various Lahore warehouses to be sold as scrap and includes non-sterilised drips, urine bags and vials. As it is, there is no systematic method of medical waste management in Pakistan. Not all medical facilities have incinerators and it is not uncommon to find possibly contaminated waste in open trash heaps. The last thing we need is hazardous waste from other countries adding to the problem, especially when this waste can be infected and cause diseases such as hepatitis and AIDS. Pakistan is also a dumping ground for computer or e-waste. The improper handling of e-waste can harm the health of workers sorting it while dumping computer hardware in landfills contaminates the soil and groundwater. In the public interest, parliament and the Supreme Court need to step in to stop such unscrupulous practices which can play havoc with people’s health as well as contribute to environmental degradation. All import of hazardous medical and e-waste must be blocked while the authorities also need to ensure that all public and private-sector hospitals dispose of their waste in a proper manner. The sensitisation of health workers is essential for this. Pakistan has enough health and environmental problems of its own. 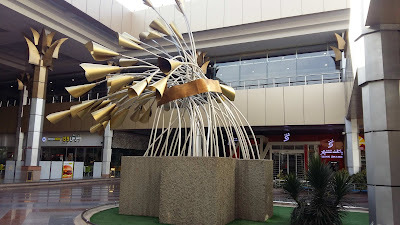 Importing other people’s waste is something we can definitely do without”. To fulfill its responsibility our electronic media is also on forefront, Dunya Tv shared an interesting report. Natural Gas Shortage Leading to Bleak Future??? Gas is the driving force behind the economic growth in Pakistan. Supply shortage and bleak availability outlook is forcing Pakistan towards stagnation. Pakistan currently produces nearly 4 bcfd ‘billion cubic feet per day’ natural gas. Bulk is consumed for power generation “29%”, followed by industrial sector “26%” and (17%) by fertilizer sector. As per ISGS Analysis, based on SSGCL & SNGPL data, demand is approx 6 bcfd and it outstrips supply resulting in shortfall of 2 bcfd. Industrial sector faces the grunt of gas supply curtailment in winter and currently industrial sector on SNGPL line facing 3 days gas supply cut and expected to further exacerbate. Based on current gas supply source, it is projected that supply by 2020 will be approx 2.1 bcfd whereas demand will touch 8.5 bcfd, resulting in shortage of 6.4 bcfd. The question comes in mind; will Pakistan be able to go ahead with new discoveries in the wake of trouble in Balochistan? Will American influence allow Pakistan to go ahead with IPI? Will peace in Afghanistan be achieved in near future to make TAPI a reality? Time will tell but it seems tough and time is running out for us. Water Woes: Pakistan’s Survival At Stake !! We are a country battling with growing population, depleting water resources and acute energy shortage. Lately I came across an interesting book “Pakistan: A Hard Country” by Anatol Lieven and he identifies water issue, one of the most serious for the survival of Pakistan. Pakistani population is growing and available water resources are not enough unless we radically improve efficiency of water use. Lately Karachi bloggers had an interesting discussion with US Under Secretary Maria Otero and she rightly mentioned that Pakistan wastes water resources, instead of using efficient drip irrigation it relies on flood irrigation. If one looks at old Indian economy it was a gamble on the Indus, civilizations thrived across rivers and destroyed because rivers changed their course or washed them away by floods. Indus is the main source of water thriving Pakistan’s agriculture sector however it only cultivates 24 percent of area. Furthermore, chronic water over use is resulting in drying up of natural springs; water table is dropping so rapidly that the tube wells will also eventually dry. There are studies that by 2035, glaciers feeding the Indus will disappear and they are fast melting and water conservation is the need of the hour for Pakistan to ensure enough water is available for future generation. Pakistan needs to focus on agriculture, improve water storage and distribution infrastructure. As per Anatol Lieven “Pakistan is overly dependent on Indus, climate change, water shortage, possible long term combination of climate change, acute water shortages, poor water infrastructure and steep population growth has the potential to wreck Pakistan as an organized state and society”. US is one of the leading partners of Pakistan, it is need of the hour that long term international aid projects in Pakistan should be devoted above all to reducing this mortal threat, by promoting reforestation, repairing irrigation system and even more importantly improving the efficiency of water use. There is an interesting view and no one denies, human beings may survive for centuries without democracy and without much security but they can not live for more than three days without water. I would like to share an interesting but worrying report on Pakistan water situation published by World Bank. It says “The facts are stark. Pakistan is already one of the most water stressed countries in the world, a situation that is going to degrade into outright water scarcity due to high population growth. There is no feasible intervention which would enable Pakistan to mobilize appreciably more water than it now uses .There are no additional water resources to be exploited and agricultural water use must decline to enable adequate flows into the degrading Indus River Delta. Pakistan’s dependence on a single river system makes its water economy highly risky” . Another interesting study published by the Woodrow Wilson Center, as per study “by 2025 population growth is likely to mean that Pakistan’s annual water demand rises to 338 billion cubic metres (bcm) – while, unless radical action is taken, Pakistan’s water availability will be around the same as at present, at 236 bcm. The resulting shortfall of 100 bcm would be two-thirds of the entire present flow of the Indus. It seems frightening but still we have time to fix before it’s too late. I have no doubt on the capabilities of our nation and am sure this region will survive and successfully face the nature’s wrath. Muhammad Iqbal, Confused Pakistan & Two Nation Theory!!! To me Pakistan as a person is struggling to dig its identity. Is it an Arab? An Indigenous Indus man? Or somebody else? Many books have been written to explore Pakistan’s reason d'etat, Barrister Etizaz Ehsan’s book THE INDUS SAGA IN THE MAKING OF PAKISTAN comes in my mind. Both liberal and right wing historians try to present their own perspective but as an ordinary Pakistani, I always end up with confusion. If Pakistan was created on the basis of Two Nation Theory then who will guarantee the rights to religious minorities in Pakistan. Why “Muslim/Bengali” women were raped and thousands killed in East Pakistan? Whenever I come across Mr. Jinnah’s 11th August speech it creates doubts in my mind regarding the concept of Two Nation Theory & our reason d’etat!! As Baloch, when we demand for equal rights for our language, people frown and question our patriotism. In school, as kids we are forced to learn basics in URDU ‘an Indo Aryan Indian Language’, verses and characters of alien India or Arabia are forced upon us. Characters such as Mohammad Bin Qasim or Tipu Sultan, all are alien to Baloch kids. At home Baloch kids grow up hearing names & characters such as Chakar & Balach but find them nowhere in history text books in school. Historically colonial powers used to impose history of conquerors and ignore indigenous characters & heroes. Marvi’s discussion reminds me of an interesting book THE MURDER OF HISTORY written by KK Aziz, it also makes me wonder, can we build nationhood based on the foundation of false history? Our society is plagued with ailment caused by Jewish, American and Indian agents!!! Its general attitude at individual level to TV talks shows. As a nation we are programmed to accept everything under the sun and blame it on others and never make efforts to fix our problems. Firstly, Pakistani society is struggling to find common uniting factors, however country was created in the name of religion. If religion is uniting factor then question comes, why we witnessed massacre in East Pakistan? Weren’t Bengali’s Muslims? Why over 100,000 Bengalis killed and over 200,000 women raped? No one can explain the terror outfit Al Badar & Al Shams' horrific actions in East Pakistan!!! Even if we believe, Islam plays an effective role in creating a bond in our society then questions comes in mind, which sect or sub sect represents true Islam? Secondly, when we look at the question of nationalities, if a Sindhi, Baloch, Punjabi or Pashtun promotes his/her culture and language under the umbrella of Pakistan, it is considered an act leading to the destabilization of federation of Pakistan. Same is the case if provinces ask for autonomy under the umbrella of federation is despised as an act that may result in weak federation. However, 1940s resolution’s essence is about autonomy for federating units. Thirdly, India is considered enemy number one, everything under the sun happens in Pakistan is blamed on India. Rs 700 billion defense budget out of overall revenue collection of Rs 1,900 billion is planned in the name of Indian threat. Proxy religious monster Jihadis are supported in the name of Indian threat. Quest for strategic depth and interference in Afghanistan is in the name of Indian threat. Fourthly, Pakistani middle class believes that democracy is not for illiterate Pakistan; they can’t understand and protect our needs and military rule is only answer. However, every time we had military rule, it shook very foundation of federation. Lastly, we spend Rs 39 billion on education and Rs 27 billion on healthcare and expect to have sane and healthy society. It is imperative for us to address the question of nationalities, create an identity beyond religion and it has to be based on broader concept that may amalgamate all ethnic groups and religious minorities. Paranoid with Indian threat not going to get us out of the mess. We need to take charge, debate and find way out and solve unanswered questions before it’s too late. Blaming is like ostrich syndrome and failed societies do that & they fail, die and disappear. Facebook; Thanks for Egyptian Revolution, Who’s Next? Facebook is synonymous with social interactions; never knew its potential of toppling despots. Last month Tunisia was falling out of blue, we thought it’s just a random event and may not have spill over effect. We never knew that Arab world was burning deep inside like volcano until we saw thousands of people on Egyptian streets. One may wonder, tyrants like Mubarak controlled socio-political dynamics in the country for thirty years, how come leaderless crowd gathered on streets and eventually toppled a dictator! Answer is, the youth power & electronic social interaction platforms such as facebook and twitter. Today Egyptian society feels proud about its tech leaders such as Google Executive Mr Wael Ghonim and twitter guys such as @sandsmonkey etc. The best part about Egyptian revolution, it was bloodless, not very violent as Mubarak & his policemen tried to make it after killing about 300 people. For 18 days ‘revolution in making’ was televised from Tahrir Square, we were glued to TV as if something was happening on the streets of Karachi, Lahore or Islamabad. Whenever someone thinks about Egyptian Revolution, one may not forget ugly scenes such as camel and horse brigades’ attack on peaceful protestors, worst of all, the stone throwing and firing around Tahrir Square!!! It is the best moment in the history of any country when people chant “Now We Feel Proud to be Egyptian”, a country’s stature & image changed by youth power & facebook. I wonder how Facebook founder Mark Zuckerberg would be feeling after Egyptian Revolution. Finally Pharaoh let his people to go…thank you Moses!!! Many more Pharaoh’s are around, many more Moses needed!!!! Karachi; From Jamshid Nusserwanjee Mehta to Gangster Politics!!!! Jamshid; an elected Mayor of Karachi for 12 consecutive years is known as the “Maker of Modern Karachi”. In comparison, today anyone attached with Karachi municipality is geared up to loot and destroy more than build. Political organizations leading the municipality affairs spend a fraction of budget to show off development and they get away with rest of the money, use gangsters, drug dealers, and land grabbers to further their loot and plunder. Today, an ordinary citizen feels hostage in Jamshid’s city, their voice is silenced in the roar of guns. 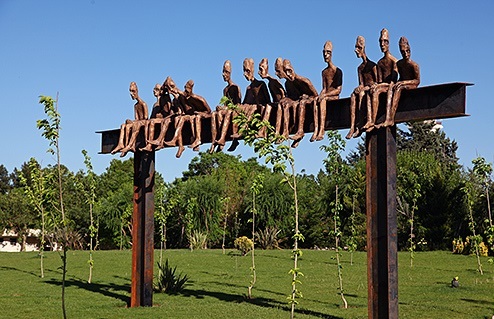 A city known for religious and ethnic harmony has plunged into ethno religious divide. Beautiful streets of Karachi tell tales of bloody combat, bullets, pain and cry. Jamshid was the most wanted man, the most sought after person and everyone wanted him as guest at any function in Karachi. People believe that whenever they came in contact with him they instantly felt the strength of his character and he was not an ordinary soul. A men known for serving Karachi, his selfishness played an important role in public life. He was one of the noblest sons of Sind and alas today we miss him more than over 60 years ago. Famous writers believe that “The broad roads, beautiful parks, schools, hospitals, maternity homes, good sanitation, homes for the poor and other civic amenities which the citizens of Karachi enjoyed in those days were the result of the untiring efforts and dedicated Service of this great man. 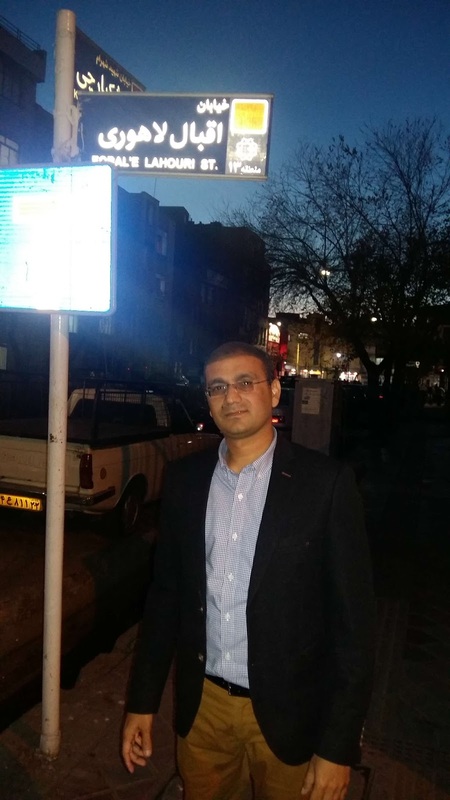 When the municipal history of Karachi is written, one of its most outstanding features will be the remarkable efficiency with which Jamshid faced every situation. It was he more than any other person who gave Karachi its character as the cleanest and best administered city in the Indo-Pakistan Sub-continent”. In politics, Jamshid used to go to person to person and beg for votes. Today many candidates give all sorts of promises and use fair or foul to get elected but Jamshed did not give any promise or undertaking. On contrary he used to extract a promise from his helpers that they would remain absolutely fair under all circumstances. His politics was all about social service, charity and self sacrifice and many writers mention that he was a millionaire but lived like modest and humble man. Today most of the political or not political charities are propagated through a well orchestrated media campaign but Jamshid’s charities were silent and private. Astonishingly after his death world came to know through his private secretary that he gave away USD 1.6 million at that time and no one knew about it. In short a famous man said, "Jamshid was one of the finest men I have ever met. A terrific worker, a wonderful organizer, a great giver and a most humble man. He was conscientious and deeply religious, and as straight as a die. If only we had more men of his character today, Sind would be a different place". Jamshid, Karachi misses you and I am sure you won’t be able to stop your tears when you see your beloved Karachi torn apart by political vultures, gangsters, drug peddlers, land grabbers. Appalling & Cheap Stunt at Commonwealth Games!!! Name Pakistan has become synonymous with terrorism & barbarism, today word such as cheapness struck my mind. One may wonder why!!! It was none other but appalling and cheap stunt of Dr Muhammad Ali Shah “MQM MPA & Sind Sports Minister” at Commonwealth Games in India. I wonder when we get rid of immaturity, be it an educated doctor or former dictator, all entertain us with their share of cheapness on daily basis. I was shocked to read news in Daily Dawn, it says “For all those who missed the glittering opening ceremony of the Games yesterday, here is what happened: The Pakistan Olympic Association (POA) had decided over a month ago that Shujauddin Malik, the country’s gold medal winning weightlifter at the 2006 Commonwealth Games, would lead the Pakistan contingent during the ceremony. It was an honour well deserved for a man who not only won gold but also scripted his name in the record books for his 2006 effort. But as the ceremony started yesterday and teams strode into the Jawaharlal Nehru Stadium one by one, the Pakistani contingent despite receiving the most rousing reception out of all the participating nations, experienced a moment of great embarrassment. It wasn’t Malik who was seen carrying the flag and leading out the contingent but instead, it was Dr Shah – despite TV screens around the world displaying the name ‘Shujauddin Malik’. Fine, one thought. ‘maybe Malik wasn’t feeling up to it.’ But only moments later when people saw Dr Shah pushing aside Malik as cameras rolled, it was clear what the actual deal was”. It was shocking for us when weightlifting team manager Rashid Mehmood came on air and revealed that Shah had told Malik that it was the chef-de-mission’s right to lead the contingent as he was the ‘senior’ most out of all the personnel. Malik also came on air moments later and made another shocking revelation. He claimed, Shah after a tussle over the flag minutes before the opening ceremony, had threatened to send the weightlifter home if he did not respect Shah’s decision. Our literate lot has made our country a joke all around the world, a laughing stock, be it educated military or educated corrupt bureaucracy. I wonder how many incidents haunt us before sanity prevails in the land of pure !!! !